Proper Fire Protection Equipment selection and installation is so important. However, Fire Protection Equipment is your fail safe if a fire starts, but its best to prevent a blaze in the first place. It is very much important to keep fire protection equipment systems up-to-code but what happens when they do not?? The Fire Blaze Out. These kind of events happens every year in which a lack of properly installed fire safety equipment leads to extensive damage from fires. If your business or home isn't up-to-code on all of your sprinklers, suppression systems and alarms, your business could face disastrous consequences. The best way to avoid disastrous situations like this is to ensure that you have regularly scheduled fire equipment inspections and testing. For any fire protection equipment needs, please contact Papillon Australia Pty Ltd or Call Us at: 610397648200. 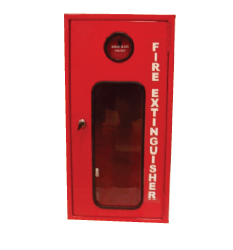 We have an different range of products covering Fire Fighting Equipment and accessories. Nothing to lose, ask for a quote and SAVE MONEY! Call today!